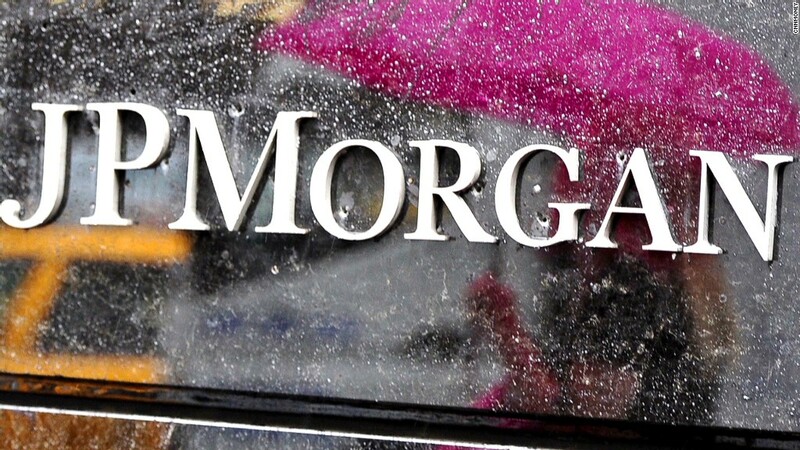 JPMorgan posted a loss for the third quarter as a result of its myriad legal problems. Wall Street has been abuzz this week with news that JPMorgan is on the verge of reaching a $13 billion settlement with the government, but the deal could be just one of many. The settlement, which has yet to be finalized, relates to mortgage-backed securities sold by JPMorgan and the firms it later purchased, Bear Stearns and Washington Mutual. These securities, created by bundling payments from individual mortgages, were a key cause of the financial crisis, failing in huge numbers as the housing market imploded and borrowers defaulted on their loans. The pending settlement, which has been billed as the largest ever for a financial firm, drew JPMorgan CEO Jamie Dimon personally to the Justice Department last month for negotiations with Attorney General Eric Holder. But several billion dollars' worth of the deal under discussion relate to a lawsuit filed by the Federal Housing Finance Agency on behalf of Fannie Mae and Freddie Mac. The agency has a number of other big banks in the crosshairs as well. JPMorgan (JPM) was just one of 18 financial institutions the FHFA sued back in 2011, accusing them of selling Fannie and Freddie securities that "had different and more risky characteristics than the descriptions contained in the marketing and sales materials." Fannie and Freddie, the government-backed housing finance firms, sustained massive losses on mortgage-backed securities as the housing market imploded, requiring a bailout of over $187 billion. The firms have been controlled by the FHFA since their 2008 rescue. Swiss lender UBS (UBS) has already reached an $885 million settlement with the FHFA in connection with losses Fannie and Freddie sustained on over $6.4 billion worth of mortgage securities. The agency also settled for undisclosed sums earlier this year with Citigroup (C) and General Electric (GE). The FHFA is reportedly seeking $4 billion from JPMorgan to resolve its claims over $33 billion worth of securities sold to Fannie and Freddie by JPMorgan, Bear and WaMu. Bank of America (BAC), which acquired Countrywide and Merrill Lynch during the crisis era, could be on the hook for even more. The Charlotte-based firm is facing claims from the FHFA over $57 billion worth of mortgage bonds. In all, the 18 FHFA lawsuits cover more than $200 billion in allegedly misrepresented securities. The question of whether any individual bankers will be held to account in is another matter. Thus far, criminal cases related to the packaging and sale of mortgage-backed securities have been conspicuously absent. The proposed JPMorgan settlement covers only civil charges, and would not settle the question of whether any individual executives engaged in wrongdoing. There is an ongoing federal criminal probe based in Sacramento, Calif., the state where Washington Mutual was based. JPMorgan originally sought to be protected from any criminal charges as part of this deal, but that request was rejected by the government.